Automaint Solutions Pty Ltd is an industry leader in the design and manufacture of complete turnkey automation, robotics and maintenance services. With over 22 years of experience servicing the manufacturing industry the Automaint Solutions team have significant experience within the packaging, pharmaceutical, food & beverage and automotive industries. We offer our customers a full automation consulting and project management service covering everything from control system design to maintenance support and training. 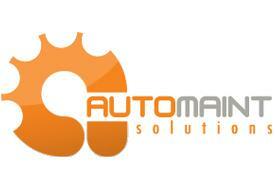 Let us help you with your automation, maintenance and robotic needs.